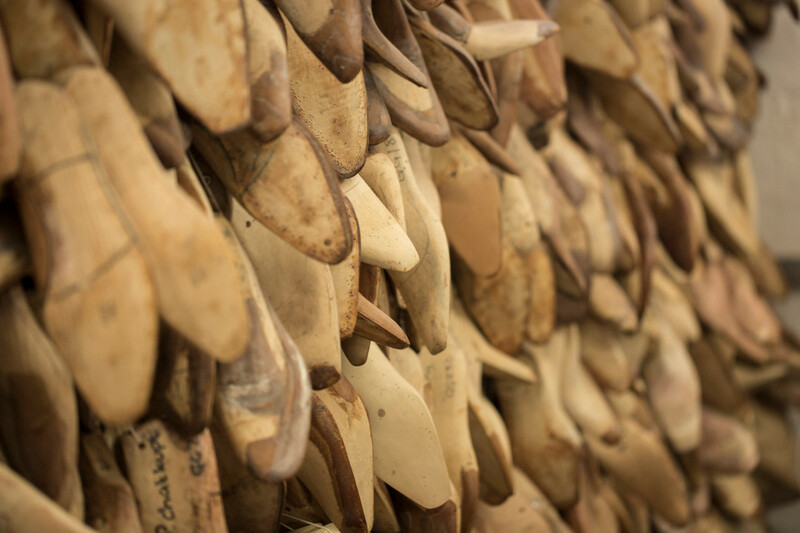 Regarded as one of Britain’s best men’s shoemakers, over the past 12 years, Tony Gaziano and his partner Dean Girling have built their eponymous business, Gaziano & Girling, from humble beginnings in a backyard workshop into a thriving manufacturer of fine handcrafted footwear. We spoke with Tony – pictured, above, right – about his path from rudderless college drop-out to shoemaking maestro and artisanal entrepreneur. Robb Report: What made you decide to become a shoemaker? When did the passion for the craft take hold? Tony Gaziano: I originally went to college to be an architect. That was what I really wanted to do at the time. But when I went to college, after about six months, it just didn’t appeal to me anymore. There wasn’t enough creativity in it, so I basically just stopped going to college, much to my parents’ displeasure. And my father said, go out and get a job. I found one at (shoemaker) Joseph Cheaney in Northhamptonshire as a junior designer and wasn’t really into shoes at that time, but I wanted to get into something in fashion and design. When I went there, I thought I was going to be drawing pictures all day. But I had a very old-fashioned boss and he said, ‘No son, get on the factory floor — you can’t design anything until you learn how to make it.’ I did that for about 18 months and was quite pissed off with it, to be honest. It grew on me though, and then all of a sudden it was almost like a button got switched, and I stood there and thought, I enjoy this. So it wasn’t really a conscious choice from the beginning. It was something I got involved in and discovered through working in that environment that it was something that I enjoyed doing and wanted to pursue. Did you find you felt a particular satisfaction at the end of a working day, being able to look at physical objects you’d created with your own two hands? Yeah, absolutely. I still get the same feeling and that is the reason why I’m still in the job. At specific times during the day a picture comes in your mind of something that you want to create and it’s a great thing to be able to realise a mental image into a physical product. And the journey of doing that builds a lot of adrenaline in me. There’s a lot of energy, a lot of excitement and if it finishes and it looks the way that I wanted to, when it’s done, I’ll probably look at that shoe for the next month, 24 hours a day, I’ll become obsessed with it. I really do get a buzz out of that journey of creation. For sure, I had two kids, a mortgage and a wife, so it was a big wrench for me to leave the comfort of employment and give up knowing I was going to get a regular wage at the end of the month — it was a big risk. I probably wouldn’t have done it without the support of customers, who were also good friends that I’d built up over a number of years. Because it wasn’t just my life that was reliant on the business’s success, it was three other people’s lives as well. So you felt more assured in the knowledge that you had a reasonably solid client base to build upon? Yes, I had a great Japanese following with the other companies I’d worked for, I’d built great friendships with them, and the same with customers in New York and San Francisco. When I was thinking about leaving, I basically casually said to them, you know, if I went on my own, would you support me? And they agreed to. So literally the day that I finished at my last job, I jumped on a plane to Tokyo and got 20 bepoke orders, and really that generated the cash flow from 2006 to 2013. We didn’t borrow any money from banks. We didn’t put any of our own money on the line either, we just managed the cashflow shrewdly enough that it was purely organic from there onwards. It was exhausting at the beginning because as soon as I came back from Japan, I jumped on another plane and went to New York, and then to San Francisco and just build it up that way, really, just lots of trunk shows in the initial stages to start the flow of work. We didn’t have big overheads because Dean was working from a shed in his back garden and I was working from my garage in my house and we were only making bespoke shoes. So there was just the team two of us and we kept the overheads down and it worked. You know, I look back now and I think, ‘Oh my God, how did I have the balls to do that?’ But we did it and we made it. You never reach a point where you feel successful, though, because there’s always another challenge in front of you. Even today, we’ve got to a point where we’ve got about 30 staff in the factory and four in the shop and you know, we’re still beating ourselves up about something or other. It’s been 12 years now since 2006, when Gaziano & Girling was established. What would you say is your proudest moment or achievement over that period of time? There’s not really one single defining moment. We’ve had quite a few, like where we were at number 10 Downing Street, or going to Mr Ralph Lauren’s office and and measuring him for a pair of shoes, those kinds of things. But I think really the proudest moment, is when I’m in the factory, I look down at the team and I think, we’ve not just created a great factory, but we filled it with genuinely great people, really nice people that work as a team, that we can socialise with. It’s like, I’ve created a new way of life for myself, because obviously in work you tend to lose a lot of your old friends you went to school with, and when family comes along, you lose a lot of social life. We created this new world for ourselves. That makes me proud. And then just looking at the shoes that come through and thinking, wow! So all the struggles that we’ve been through, to become a proper manufacturer of luxury goods – we’re not a cottage industry anymore, we’re a serious business… There are a lot new guys that are coming up at the moment that are venturing into their own business and I can see the journey that they’re going to go on. 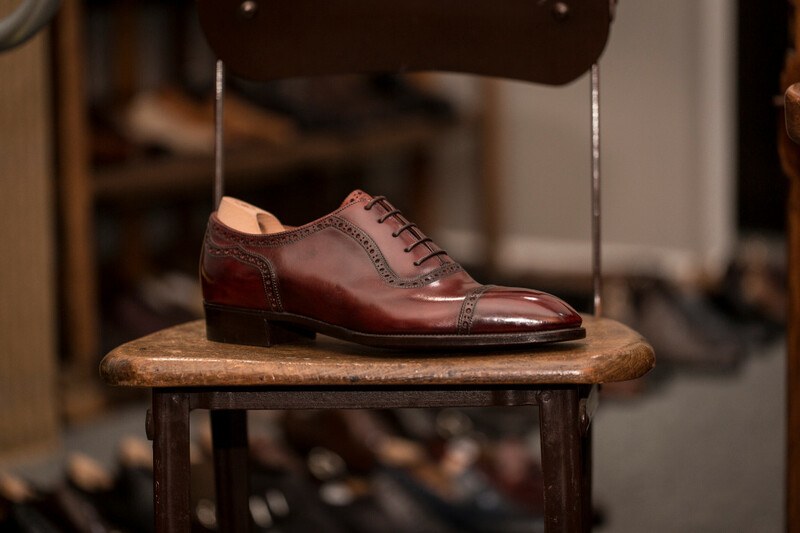 It’s a different skill to be able to go from shoemaker to being able to create a team of shoemakers and delegate your expertise, your eye and your craftsmanship to a team and then also be the businessman, than it is to be an independent shoemaker. It’s a tough journey.